It’s where Ford, Dodge and Chrysler cars all got their start. Nicknamed Motor City, Detroit is well known across the globe for its automotive industry. Unfortunately, as car manufacturing jobs dried up during the Great Recession, the city took a turn for the worse. When the city filed for bankruptcy in 2013, it had seen better days. Today, the city is coming back — and if the housing market is any indication, it’s coming back strong. 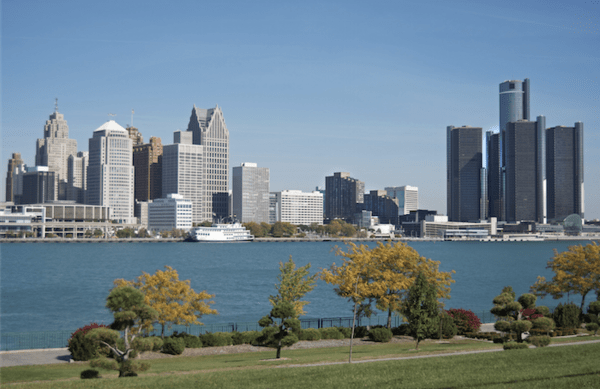 According to Zillow, the median home value in Detroit increased 5.6 percent in the past year, and it’s anticipated to rise another 3.6 percent within the next year. As home values increase, this is a good time to boost them even further with home improvements as new homebuyers enter the market. During winter, Detroit typically experiences about 41 days in which the temperature never rises above freezing, according to currentresults.com. Between November and March, the low is generally between 19 and 34 degrees Fahrenheit, and the high is generally between 32 and 49 degrees Fahrenheit. 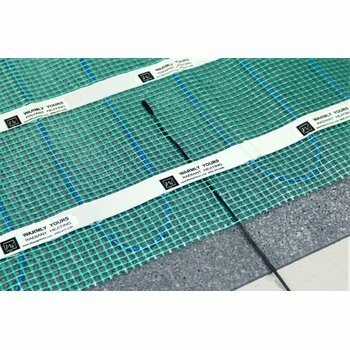 This makes Detroit homes great candidates for electric floor heating. Radiant heat is generally recognized for its ability to warm up a bathroom or kitchen, but homeowners can also take advantage of it in the coldest area of the home: the basement. 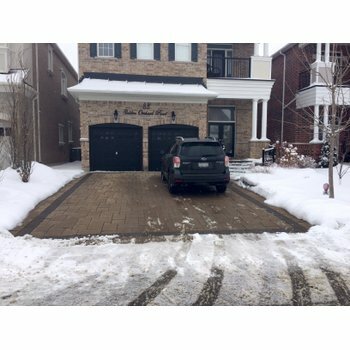 In this instance, the homeowner had an extra bedroom located in a finished — but frigid — basement. To help insulate the space a little bit, the homeowner opted for carpet as the floor covering, but he knew it would need some extra help to make the space livable. Thus, he invested in a WarmlyYours Environ™ Flex Roll. The 1.5- by 45-foot Flex Roll cost $608 and filled 67.5 square feet of floor space. That equates to just $9 per square foot! The Flex Roll consists of an insulated heating cable sandwiched between two layers of reinforced, durable aluminum foil. Similarly, the roll was easily installed between the carpet and the pad, radiating 12 watts per square foot. Although the cost of the heating element is low, you might be wondering how much it costs to operate the system. According to WarmlyYours’ Energy Use Calculator, it only costs 43 cents a day to heat this basement bedroom for eight hours every day. Annually, that amounts to $240.58, according to WarmlyYours’ Heat Loss Calculator. During the coldest month of the year, the electric bill for this room reaches about $46.83. Are you curious how much it would cost to add in-floor heating to a room in your home? If so, check out WarmlyYours’ Instant Quote tool! 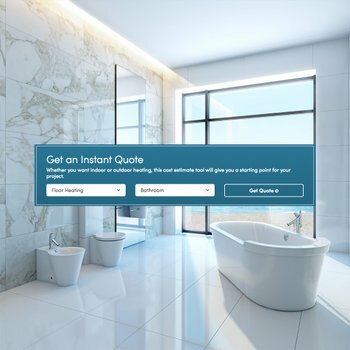 By plugging in some information about your project, the tool will show you the recommended products for your room and how much they will cost. You can also upload a floor plan of your room to get a custom installation plan. This will give you more detail than an Instant Quote because it shows exactly how the floor-heating system should be laid out, and it gives you the electrical plan. This information makes installation easier, and it also helps our technical support team to better guide you through the installation process. Free technical support is available 24/7 at 800-875-5285. Whether you live in Detroit or another city that could use some radiant heat, www.warmlyyours.com has a solution for you. Next Post What Does Floor Heating Cost in a Victoria, BC Home Office?